Sometimes I feel like a plastic apple. The bible says that if we are in Jesus and He is in us, God gives us all kinds of good fruit in our life- nine to be exact: love, joy, peace, patience, kindness, goodness, faithfulness, gentleness and self-control. (Galatians 5:22) That’s a pretty sweet bag of apples. But sometimes I know I’m just faking it. Sometimes my joy is just fake plastic joy, a sad imitation of the real thing. If you bit me, you’d see that I’m not really full of fruit at all. I probably wouldn’t have patience, kindness, goodness, gentleness or self-control. Sometimes I have those things, sometimes I live full of the spirit, but lots of times I’m just a bag of plastic apples. Why do people buy fake fruit anyway? Literally, people spend money on plastic shaped into the form of apples and pears and grapes… Isn’t that a little strange? 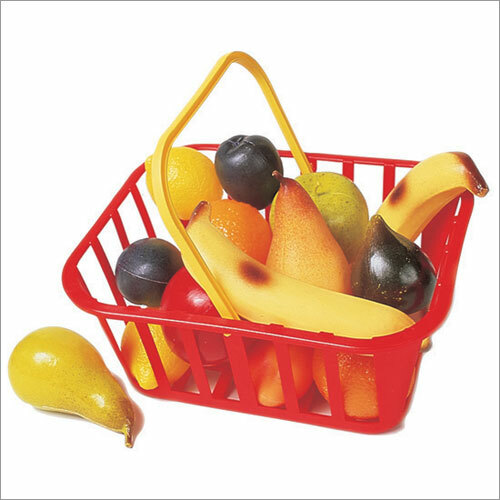 But maybe more importantly why do people figuratively buy fake fruit. It’s not that hard to spot it literally or figuratively. Plenty of us are walking around putting up the facade of being loving and joyful, they are actually somewhat easy to fake. We can even get by with peace sometimes, outwardly at least. But if we’re honest with each other (which as Christians we often are not because we have some false idea that we need to have it all together) it’s not hard to tell when we’re not living by the spirit, because the other six are pretty much impossible to fake for any period of time. Patience, kindness and gentleness are usually the easiest to spot because they immediately affect everyone around you. I’m sure you heard your dad at some point say something like, “do you think money grows on trees?” Well fruit does grow on trees so this bag is free. I think we get stuck on the idea that we have to have it all together all the time because a lot of people get the bible in little tidbits out of context which turns them into list and rules and expectations that we can’t possibly live up to. If you just take that scripture, you probably are feeling like you don’t measure up as a Christian, you might even doubt if you’re saved. If you’ve met someone who is all these fruits all the time, you’ve either met Jesus, or you’ve met a fruitcake. I’m betting fruitcake. (Did your grandma make that delicious Christmas fruitcake with all the sugary fake fruit in it, fruit that hadn’t been real fruit for about 5 years? Why is that called fruitcake?) By fruitcake I mean someone who’s unmistakably a cake (i.e. a Christian) but the fruit is obviously fake sugary dehydrated fruit long past its best before date. You see, that verse in Galatians 5 has is surrounded by a couple other very important verses like this one. Brothers and sisters, if someone is caught in a sin, you who live by the Spirit should restore that person gently. But watch yourselves, or you also may be tempted. Carry each other's burdens, and in this way you will fulfill the law of Christ. If anyone thinks they are something when they are not, they deceive themselves. Each one should test their own actions. Then they can take pride in themselves alone, without comparing themselves to someone else, for each one should carry their own load. We’re not always good at restoring people gently, or carrying each other’s burdens or not comparing ourselves with others. I think it’s because we’re human. What we are good at is trying to carry someone else’s load instead of our own (which I guess usually it turns out we’re good at the “trying” but we’re not good at actually doing it). What I mean by that is we try to imitate or live up to what someone else is doing, even if we’re not at a point where we’re able to carry that same load. It’s like we see someone who is living full of the spirit, carrying a whole bushel of apples so we run and try to pick up a bushel that looks the same. When our back is only strong enough to carry a 2 lb. bag but we try to carry a 20 lb. bushel we’re not going to get far before we drop our bushel and have a big pile of bruised apples. Carry what the Lord has given you at this point. Let him build up strength in you at his rate. We’re not aiming at trying to be equal to the Christians around us. We’re aiming at letting Jesus make us more like him, one apple at a time. So if the only apple you’ve got right now is love, let God work on growing that more. If he gives you a little kindness let him fill you with some more kindness. Don’t put fake plastic apples in your bushel to make it look better; fake apples don’t look like real apples. If you’re not living life fully in the spirit – and let’s face it most of are not – don’t try to fake it. God will give you the real thing if you ask him and let him. He promised. He doesn’t break his promises. The fruit doesn’t come from striving, or works, or imitating others. It comes direct from Him. He is the tree and we are the branches. You can’t expect someone to eat a plastic apple and not get sick. You can’t give away what you don’t have. Part 2, if you are living in the spirit with any of this fruit, give it away. That’s what it’s for. It’s not for making apple jelly to store in your pantry. Someone you know needs to be gently restored by what the Lord has restored you with (if you don’t know anyone who needs to be restored you need to get out more). Be patient and kind to people who are broken, don’t give them a load they can’t carry right now. Love them. Show them the same faithfulness that God shows you by sticking with you even when you were a rotten bruised apple. We all were at some point. An apple a day… whatever the Lord has given you, give it away, He’ll send more fruit; His orchard never runs out.